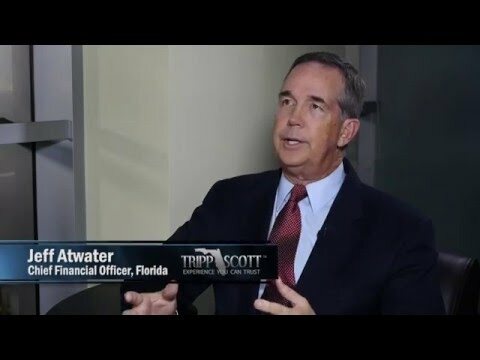 Jeff Atwater, Florida's Chief Financial Officer, sits down with Ed Pozzuoli, President of Fort Lauderdale based law firm Tripp Scott, to discuss Florida's budget, reducing taxes and fiscal transparency. A fifth-generation Floridian, Jeff Atwater was first elected Florida's Chief Financial Officer on November 2, 2010, and sworn into office on January 4, 2011. He was reelected to a second term on November 4, 2014, and sworn into office on January 6, 2015.